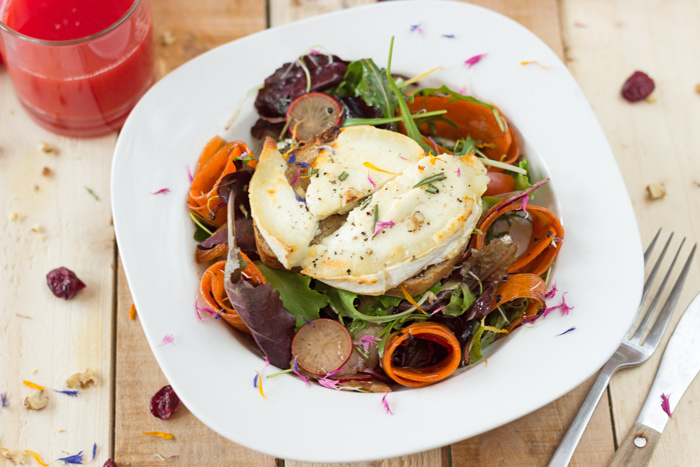 I published a delicious goat cheese salad two years ago on this blog. However I though I could give it another try as this is my favourite salad. 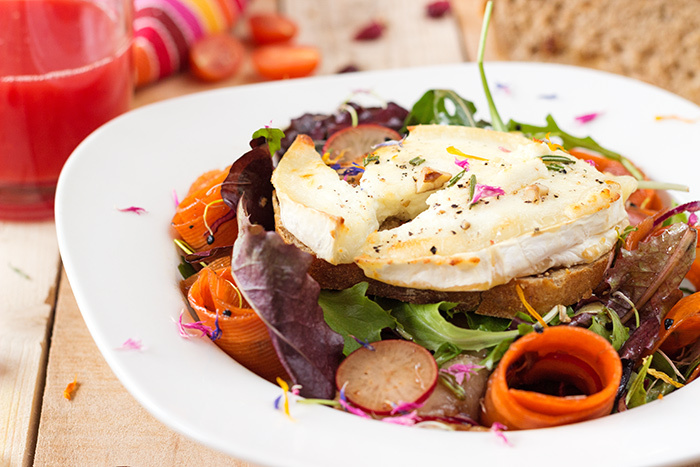 What I want to say is … goat cheese melted on a piece of bread is my favourite salad :). I love to mix goat cheese with bacon; but I also love the taste of goat cheese mixed with dried cranberry, fig and fresh pear. 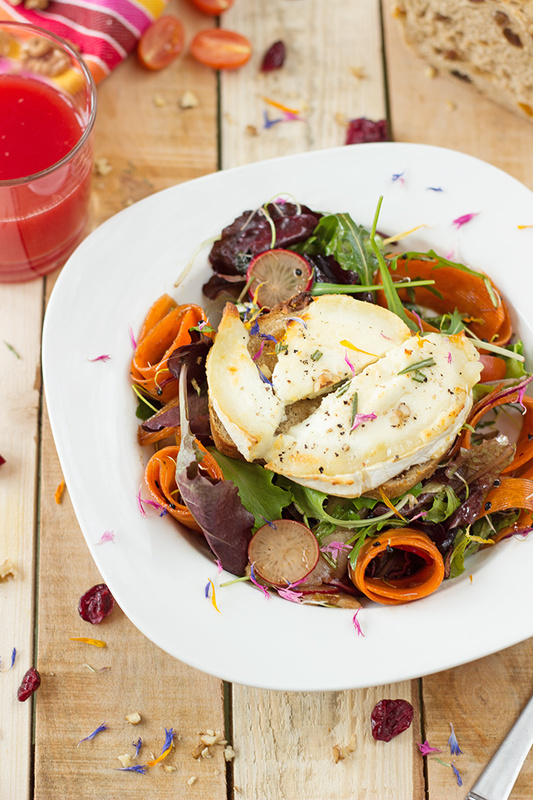 The sweetness of the fruits soften the strong taste of goat cheese. 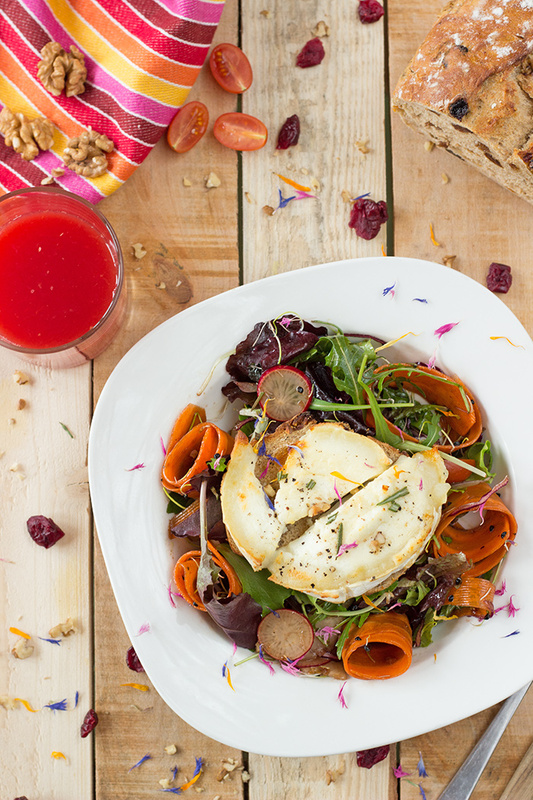 A mix of balsamic, virgen olive oil and honey complete this delicious salad. I made myself another one tonight. I added some cranberries and little strawberries today in a large green salad with onion germs. Almost summer, I could eat salads everyday! 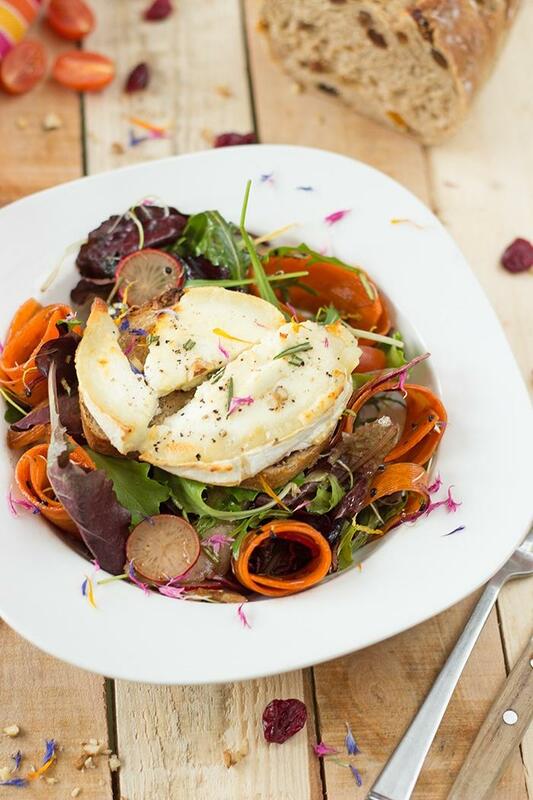 But of course always with melted goat cheese on top! Hope you enjoy this salad too ! Dice dried figs and reserve. Mix olive and colza oil, balsamic vinegar and 1 teaspoon of liquid honey. Season with pepper and salt. Add cranberries and figs in balsamic sauce. Preheat oven to 200°C (grill). Peel carrot. Cut lengthwise using a mandoline. Cut cherry tomatoes in 2. In a large mixing bowl, add carrot, tomatoes, red cabbage, onion germs, radishes and green salad. Pour sauce with cranberries and figs. Mix. 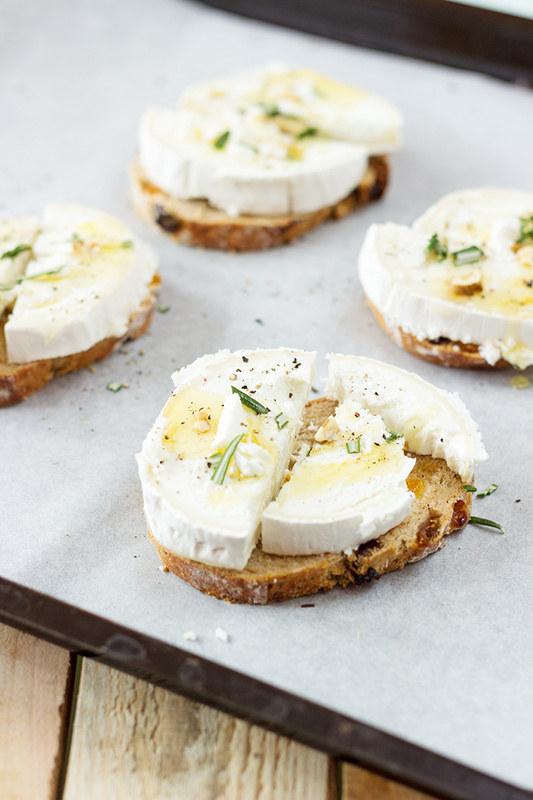 Spread goat cheese on bread slices. Add 1 pinch of pepper, rosemary and a bit of liquid honey on top of goat cheese. Fill plates with salad and place 2 goat cheese toasts on top. Serve.